​JURY DUTY NOTICE FROM THE CIRCUIT COURT CLERK: Thank you for your service to Weakley County. 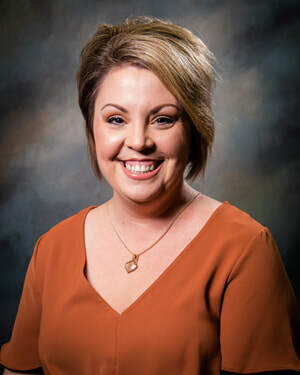 Jennifer Tharp Killebrew was elected Circuit Court Clerk in August 2014 and again in September 2018. She is a graduate of Greenfield High School and the University of Tennessee at Martin in 2008. She began working in the Weakley County Circuit Court Clerk's Office in 2010. Jennifer Tharp Killebrew is married to Adam Killebrew, and they have two children, Livi and Reed. The family resides in Dresden. ​To provide a depository of records and information concerning the orders and judgments of criminal and civil action brought by the citizens of the county in an accurate manner so that a clear result of the proceedings in the courtroom is available for future inspection. Performance Objectives: To ensure the efficient operation of the office where both felony criminal cases and civil matters are filed. To offer guidance and information to the public in regard to cases filed in the court of record. To keep correct and accessible the records concerning sentencing and judgments.